What is a vintner to do when Frenchman François Pinault and his storied Château Latour wine estate come calling with a purchase proposal for your historic vineyard? 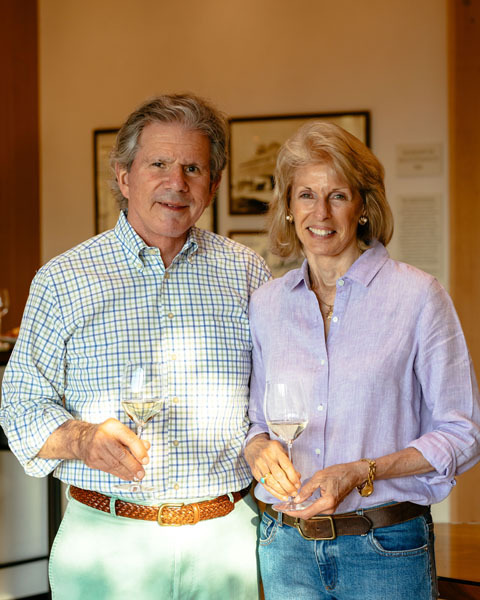 If you are Daphne and Bart Araujo, you accept the generous offer from this particularly esteemed buyer, with an acknowledgement that one never truly owns land of this uncommon legacy, and that you merely served as a steward of the coveted 162-acre Calistoga, CA property and its acclaimed 38-acre Eisele Vineyard. And then, you hand over the keys, and you move on. 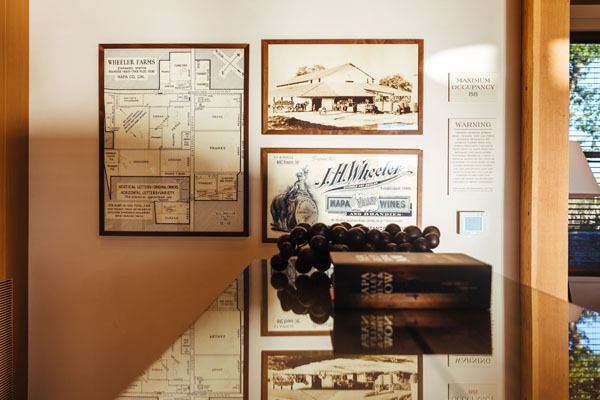 That something new is Wheeler Farms, an 11.5–acre parcel at the southern end of the town of St. Helena in the Napa Valley. Originally established in 1880 and owned by the Wheeler family until 2006, the property was acquired by the Araujos in 2014. 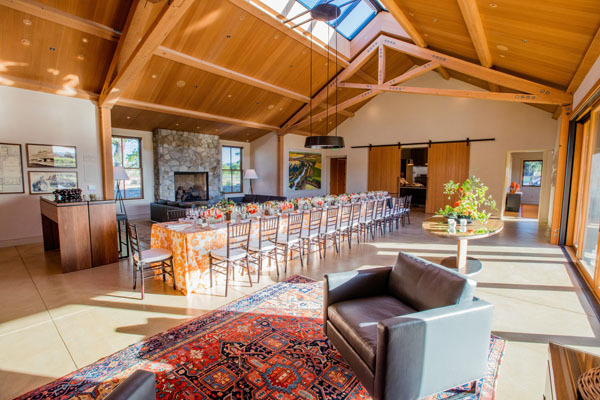 The locale is beautifully framed by Mount St. Helena, the Mayacamas mountain range, and the Silverado Trail. Wheeler Farms, or “Version 2.0” as Daphne playfully refers to the venture, features an organic and biodynamic farm with re-planted vineyards, orchards, gardens, bees, chickens, and state-of-the-art custom crush winemaking machinery. After several years of construction, the stunning new facility includes a fermentation cellar with barrel storage, and temperature and humidity controlled red and white secondary barrel fermentation rooms below ground. 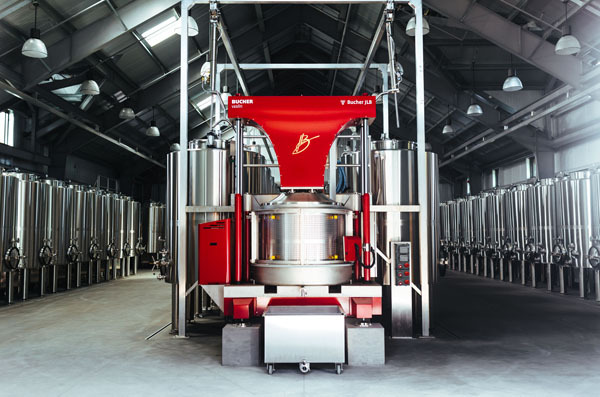 The winery’s eco-design reduces wine loss, cuts normal wastewater in half, and will eventually run entirely by solar power. 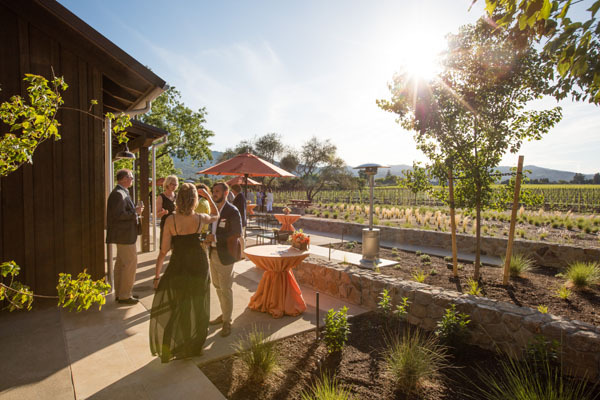 By-appointment-only guests enjoy wine tasting in the elegant and inviting Hospitality House and on its patio that overlooks Mount St. Helena. 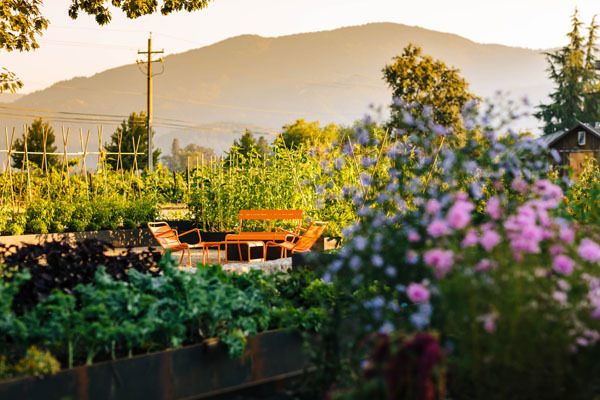 An open chef’s kitchen takes center stage, where chef and garden curator Elisabeth Russell can be found whipping up nibbles created with ingredients from the organic garden. Featured wines include those from the Wheeler Farms proprietary label, as well as other wines produced on property via the Araujo’s unique business model – a collaborative of ‘top of their game’ wine makers who produce small lot, ultra-premium wines utilizing the Araujo’s cutting-edge facility and winemaking team led by consulting winemaker Nigel Kinsman and production manager Sarah Donley. 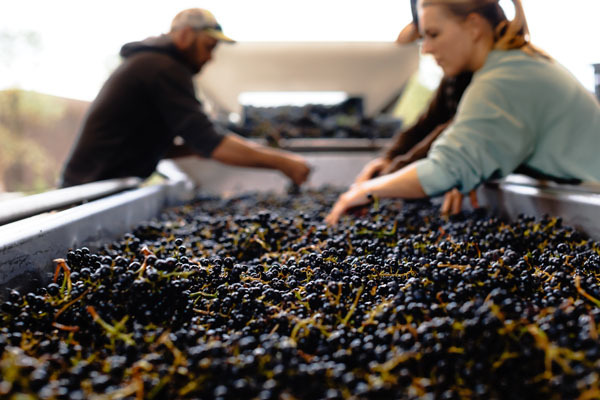 This on-site winery staff performs all the labor in making the wines, following detailed instructions provided by each winemaker. In choosing partners, the Araujos sought common values of integrity, excellence, professionalism, and and dedication to the production of great wines. 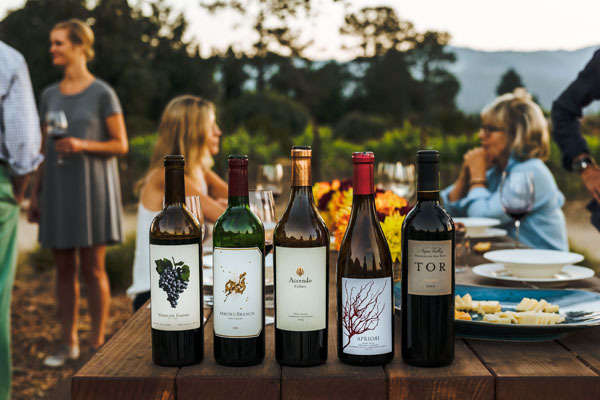 Current partners include Accendo, a Cabernet Sauvignon and Sauvignon Blanc produced by the Araujos and their children Jaime and Greg, Arrow&Branch, Booth Bella Oaks, Kinsman Wines, Tor, and Vice Versa. The diversity of both producers and available wine types allows for customization of tasting experiences based on guest preferences. Tours and tastings start at $125 per person.